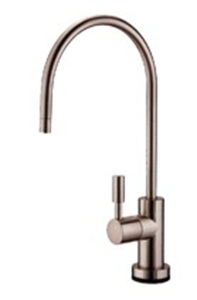 Divani European Style, NSF Certified Designer Faucet. Color: BRUSHED NICKEL. Suitable for any under counter RO Reverse Osmosis Water Filter System.